Figuring out how to push your business forward is always important. And of course, there are many solutions that can better your company if properly carried-out. Outsourcing marketing to a professional firm, for example, can do wonders for a business ... and the same can be said for expanding into a new niche or geographical area. These are just two effective options from a practically endless list. Most businesses understand that the key to upward movement is to first develop a plan that combines different processes that work in tandem with each other. If there's one area that often gets overlooked when streamlining business processes, it's internal documentation and knowledge management. It's very important for your company's knowledge to be well-organized, accessible, and up to date at all times. An exciting new era of technology. In the past, creating a knowledge base wasn't the easiest thing to do. Practically every aspect of the process needed to be performed manually, and things could be lost without recovery. Updating documentation was often considered a time-consuming project that no one enjoyed, which is a major reason why many businesses let knowledge management trail off now and then. Fortunately, the modern approach to handling internal documentation and knowledge management is vastly different from the past. Intranet software has allowed businesses to house all of their knowledge and information into a single platform. There are many tools within a company intranet that allow for file management, content creation, collaboration, knowledge management, and more. In this post, we'll focus specifically on the intranet wiki software feature. The wiki, which started off as a breakthrough, easily editable and community based online publishing platform, has found its way into just about every robust business and social enabled intranet platform that has hit the market. It’s edging its way into event organization software, e-learning software platforms, publishing and online media software, social networks, social intranet software, community software, project management, and enterprise software too. It’s simple to use, simple to implement and I think above all, it’s versatility to a vast number of uses is its biggest strength. Take a look at the BarCamp.org wiki where the BarCamp phenomenon first started and spread its wings to cover all continents and scores of cities all over the world. Although it’s known as an ad-hoc, un-conference, painting a picture of an unorganized chaotic event which takes very little planning, that is far from the truth. Even for the most well seasoned event organizers who undertake U2 concerts to the US Open Tennis Tournament will tell you that planning and coordinating multiple bar-camps across all these cities could be a nightmare -- even if their professional event organization team were to meet up in a single room to discuss and plan venues, sponsorships, refreshments, schedules, logistics and more. Yet, all this gets done by several hundred volunteers spread across the globe on a wiki. When it comes to e-learning, you can picture using an intranet wiki within an organization or a business to layout shared documentation that can be shared and updated on the fly to build a resource of learning information at a central location accessible to all within a business. If Wikipedia is any indication of just how big a learning and information resource can be put together by an online community, even the largest business should be able to use wikis as a learning platform and still seem like a small initiative in comparison to Wikipedia. So if trans-continental events can be successfully planned and executed while massive online encyclopedias of information can be successfully built by collaboration of individuals not affiliated to any one organization, the use of wikis for internal business collaboration is yet to be utilized to its full potential. We integrated intranet wikis as a core feature of our Communifire intranet software platform primarily because of its versatility. Combined with a closed and open group social networking features, it becomes even more suited for businesses who wish to use it for learning, publishing, planning projects, carrying out discussions, keeping groups updated, communication and collaborating on projects. If you’re given a blank page and a pencil, it’s completely up to your imagination what you do with it. A wiki is like that blank page. How you wish to set it up and use it to collaborate on something is entirely up to you. The options are virtually unlimited and so is the potential of this platform. What is intranet wiki software? The first step to understanding how your organization can benefit from intranet wiki software is to get a sense of what it is. As mentioned above, a wiki is really nothing more than a collaborative document that can be updated and manipulated, typically by a variety of people. Most people are familiar with Wikipedia and WikiLeaks, both prime examples of how this technology works. It is, in essence, a way to crowdsource on both micro and macro levels. Intranet wiki software allows people to create wikis easily. Rather than being concerned with confusing technological details, people can simply log-in, post content, and move forward. 7 common features of intranet wiki software. The wiki index is a section of the community that displays the most recently updated wiki pages. This is the best way for everyone to keep in touch with what's going on within the organization, even if people are located on different sides of the world. You'll see details such as who completed the updates and when, the number of views, comments and more. A sidebar tells you which wikis are most popular, based on the number of comments, views and more. 2. "Add wiki page" option. Adding a wiki page is as easy as clicking a single button. The "add wiki page" option brings you to a template that lets you create a title, write content with a robust text editor, upload attachments, create tags and more. It's a one stop shop for all of your wiki-creating needs, and it's super easy to use. With wiki versioning and history, you'll gain access to information pertaining to its current version, history of versions, and when they were created, who made edits and more. Perhaps most importantly, you can roll-back to an old version with ease. This means you never lose the changes that you make. Comments are the heart and soul of your community, allowing users to voice their opinions and concerns, as well as congratulatory remarks. Commenting on wikis is simple, and anyone who has used a social media platform will get the hang of it immediately. Those concerned with keeping the community civil will rest easy knowing that comments can be moderated. There's nothing worse than having someone make edits to a post while another person is doing the same thing, effectively canceling each other's work out. With intranet wiki software, wikis go into "locked" status when they're being edited. This prevents anything important from being overwritten, and it comes in handy more often than you might realize — especially in large businesses. Once a wiki page has been created, it's time to get some eyes on it. Wiki pages can easily be shared, printed or exported as PDF files, ensuring you don't miss a single portion of your audience. The key to getting a knowledge base to function at a high level is to make sure your content is getting in front of the right people. Running a social community can be difficult work, especially with a large organization. The ability to manage comments, control moderation and set intranet wiki permissions is a necessity. Concerns over whether or not you'll be able to keep everything in line fade away once you get used to the platform ... and the benefits become crystal-clear. 8 reasons why you need intranet wiki software for your organization. At face value, most people recognize that intranet wiki software is a good thing for their company, yet many don't understand exactly why that is. Indeed, the benefits are countless, yet there are a few that truly stand out. The following reasons will help push your business forward, especially once you and your staff get comfortable using intranet wiki software. Every CEO prefers a more collaborative workforce over one where people just stick to themselves. Collaboration brings new ideas and solutions, many of which can have a massive impact on your organization. In addition, a collaborative work environment thrives and keeps employees both happy and engaged in their work. Increasing collaboration in your organization should always be a focal point, even if it takes a bit of time and effort. One way to cut down on using extra energy to increase collaboration is to implement intranet wiki software. Since wikis are collaborative by nature, your staff will quickly become more in-tune with each other ... working towards similar goals and creating great content in the process. 2. Higher employee engagement levels. Many people mistake employee happiness for engagement, but the two are mutually exclusive; engagement refers to how focused an individual is on the tasks at hand. There are many ways to improve things, although increasing employee engagement can be a lengthy process that doesn't happen overnight. In this regard, you'll need all the help you can get. 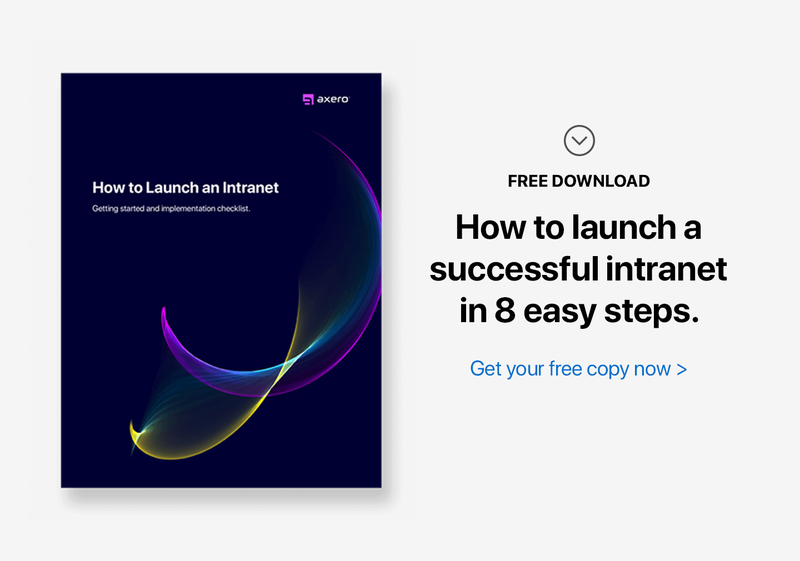 Intranet wiki software is a great option if you're looking to improve engagement levels, as your workforce will have the tools at their fingertips to stay focused and engaged in what they're doing. Since a lack of resources is one of the largest contributing factors to poor employee engagement, the importance of this simply cannot be overemphasized. If there's one thing that gets in the way of having a high-quality knowledge base, it's the tools used to create it. As mentioned above, old tools are useless for maintaining a proper knowledge base and will waste your time. Pen and paper won't due, either, as you need a way to properly share documentation with many employees at once ... digital is the only option. When you have intranet wiki software, the issues of maintaining a knowledge base fade away. Everything is right in front of you, including the ability to see what's happening within the community in real time. It's truly a unique experience to how people view knowledge management software, because it's so similar to how people use popular social media networks. Because of this instant familiarity, it doesn't take long for people to become comfortable with intranet wiki software. "Time is money" is still a regularly said phrase in today's world, and it most often relates to productivity within a business setting. After all, why would anyone want to pay someone the same amount as someone else if they're only getting half as much done. Productivity issues can spell disaster for businesses of all industries, and the more you can keep these problems at bay, the more you'll be doing for your organization as a whole. If you're experiencing productivity issues within your company, it's important to realize you're not alone, but there is also plenty that can be done to improve the situation. Intranet wiki software is just one tool that can help increase productivity, as your staff won't have to waste time fumbling around with outdated software. Over time, there's a good chance you'll see a marked change for the better in your workers' productivity levels, especially if you teach them how to use the software as effectively as possible. 5. Better and more efficient customer service. 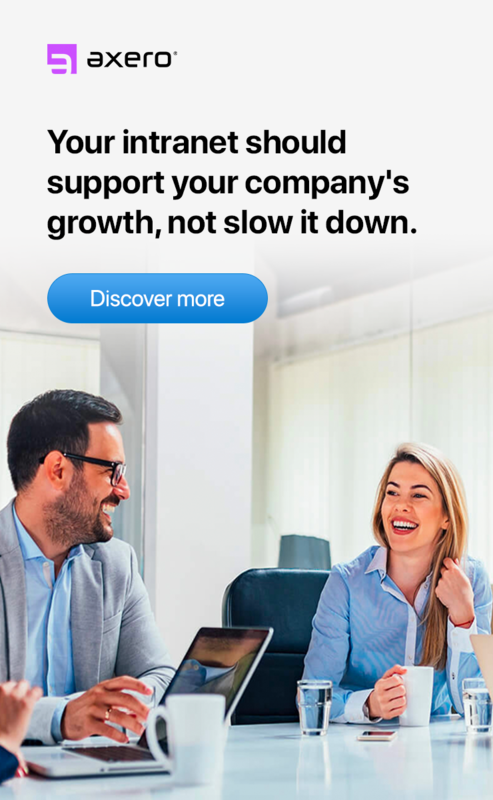 Providing customers with the best support possible is something you need to focus on if looking to maintain solid relationships with your audience. Great customer service doesn't always come easy, and there are plenty of hurdles that can get in the way. One thing that can be detrimental is a lack of organization, and if your CSRs don't have a proper way to access their knowledge base, they're going to run into problems. Intranet wiki software, or in this case, an intranet help desk, can improve customer service in a number of different ways. For one, it gives your CSRs instant access to everything they'll need to properly field a call or email. In addition, you can create wikis that can be accessed directly by your customers. This means they can address issues regardless of the time of day the problems occur. It's effectively a way to automate your customer service, although you must remember that there's no substitute for human interaction when a customer is in need of service or advice. 6. A more empowered staff. Empowering your employees is one of the best ways to harness their talents and have them feel like they're making an important contribution to the organization. An empowered staff is encouraged by managerial staff to go above and beyond to reach their goals; a little motivation can go a long way. Increasing employee empowerment isn't always easy to do, however, and it often takes combining many different approaches to find true success. One great way to empower your staff is to encourage them to create wikis and produce great content. This will not only benefit your knowledge base, but it will also help your staff feel more in-tune with the work they're doing ... not to mention the organization as a whole. Even those who don't feel comfortable with technology can easily post and update wikis with the right intranet wiki software. The result is a more empowered workforce, alongside a mountain of useful content that can do wonders for your business. 7. Better management of ideas and projects. When you have an abundance of ideas floating around, it's not always easy to keep everything organized. Ideas can quickly fade away and get lost in the shuffle, which is why it's important to ensure that everything is in its right place. If you aren't using the latest software to handle this, chances are you'll end up getting in over your head with information, and nothing will make sense after a while. The segmentation of ideas and projects is something that simply cannot be overlooked, regardless of how large or small your business may be. With intranet wiki software, you can create segmented online workspaces for each project, brainstorming concept, or task. This way, you and your staff can access wikis in a more focused manner, without wading through a mountain of content to find what you're looking for. It's a benefit that needs to be experienced to get the full impact it can have on employee productivity, and it's one of the key features of intranet wiki software. 8. Increased knowledge security features. Security is everything when it comes to sensitive company information. While security can be a tricky thing to deal with, the most important step is to find a platform that has security features built right into it. The alternative is to build your knowledge base platform on your own, in which case you'll be leaving your information susceptible to many threats. Security is a huge part of intranet wiki software. You can rest easy knowing your content isn't just going to disappear or become compromised, which allows you focus on what really matters. If security is a concern, using intranet wiki software to manage your knowledge base is the right route to take. 4 easy ways to get the most out of intranet wiki software. While intranet wiki software is a powerful tool to help you achieve success, it's essential to go into the process with the right frame of mind. You can't simply flip a switch and expect your staff to follow along without issue, which is why you should go into the deployment process with a game plan in mind. Your staff needs to learn how to use intranet wiki software. This can be one of the trickiest parts of getting a workforce to use a platform they're unfamiliar with, but it doesn't have to be a deal-breaker. Assigning high-level managerial staff to oversee the implementation of the software will ensure that any hurdles can be dealt with in a swift, efficient manner. They can also provide an intranet training session to get the rest of your employees on track. Keep in mind that whoever takes on this role must be extremely well-versed in how to use the software before giving advice or instruction, as otherwise, the potential for misinformation is simply too high. 2. Assign tasks and responsibilities. Since most of your workers will likely be new to the concept o intranet wiki software, it's essential to assign tasks right off the bat. This will not only help to teach people how to use the platform to create wikis, but will help to jumpstart your new knowledge base. A great initial project would be for employees to turn all of your existing internal documentation into wikis, after which you'll have full access to everything you need in a digital format. 3. Keep your expectations reasonable. 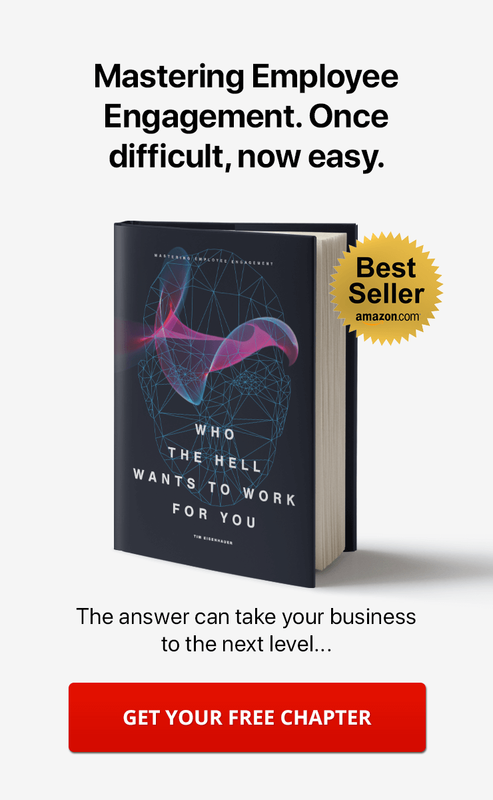 It can be rather easy to expect the world from your employees, especially when they're typically known for being productive and great at their jobs. Keep in mind, however, that learning how to use a new piece of software can take time, especially for those who don't consider themselves to be technologically inclined. Keeping your expectations at a reasonable level will ensure that you don't make anyone feel uncomfortable. 4. Set goals to mark and measure your progress. Since you're implementing a new platform to manage your knowledge base, you'll want to come up with a way to track your progress as you and your staff move along. This can be a trying process, but it doesn't have to be if you set goals for yourself and stick to them. Maintaining your sense of reason as much as possible, try to come up with a list of things you're hoping to see change with the introduction of your new software. Setting a time-frame can also be helpful, as you can use this information as a baseline for future measurements of productivity and progress. 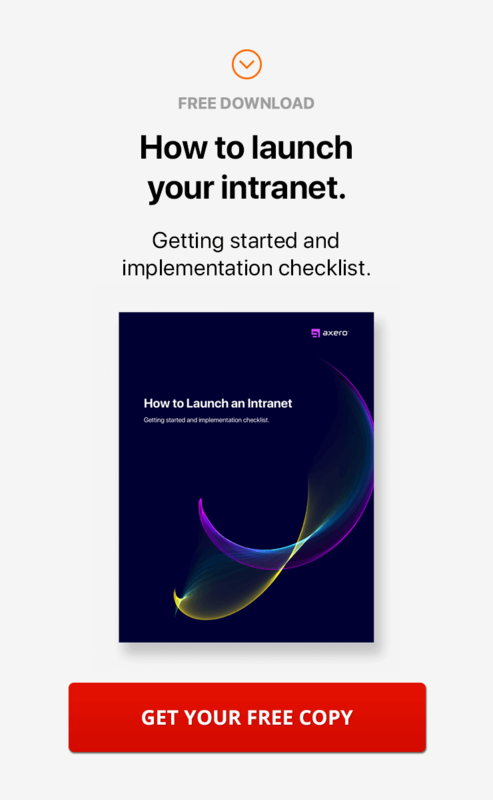 Even if the concept of using intranet wiki software to manage your internal knowledge base is something you haven't considered up until now, it's important to really focus on the benefits it can have on your organization. Take the plunge, and watch how much of an impact your new platform will have on your business.